Monday 7.45-9pm Gentle Vinyasa Sept 3 to Dec 10 2018 (half term Oct 22). Book here. Soulful and gentle vinyasa flow to recharge. Moving the body to unwind tension and build strength. Yoga links each movement to the breath, which calms and focuses the mind.Cultivating deep attention to support the body, promoting healthy movement. Exploring individual abilities, integrate ancient yoga practices with modern movement science. Feel clearer, relaxed and strong, supported by a like-minded community. All welcome - classes are suitable for all levels, including beginners. Maximum class size is 12. Booking is for full 14 week term, space guaranteed. If you need to miss a class, with advance warning you can make it up in another class. Drop in £15 subject to availability. The morning one - 7.15 - 8.15am, timed so you can set yourself up with yoga practice before work - will be a similar class to Mondays - our soulful vinyasa flow - gentle but offering challenge for those who want it! It starts Thursday Sept 27th and runs straight for 12 weeks until Dec 13. Again, if you have to miss classes you can make up classes, subject to availability, just let me know in advance if you have to miss! You can book here to wake up with vinyasa flow on a Thursday morning. Full term is £145. Thursday evenings 6-7pm will be a super-yummy relaxing class - restorative yoga to relax and renew the body and mind. Holding poses to unwind and allow gentle release. Book here for a Thursday evening class to invite deeper and deeper levels of relaxation, restore balance and connect to heart. Full term £145. @ Thames Sailing Club, Portsmouth Road, Surbiton. KT6 4HH. Free parking onsite, bus route from Kingston K1, 465, 281, K3, 71. Surbiton Station - 10 minute walk. Joanna enjoys sharing the benefits of yoga with everyone - and all people are welcome in her classes. She feels her best after yoga practice, whether a slow, moving meditation or a strong physical practice. She wants to encourage others to experience the same sense of peace and inspiration that comes from moving the body led by the breath and the calming of the mind. 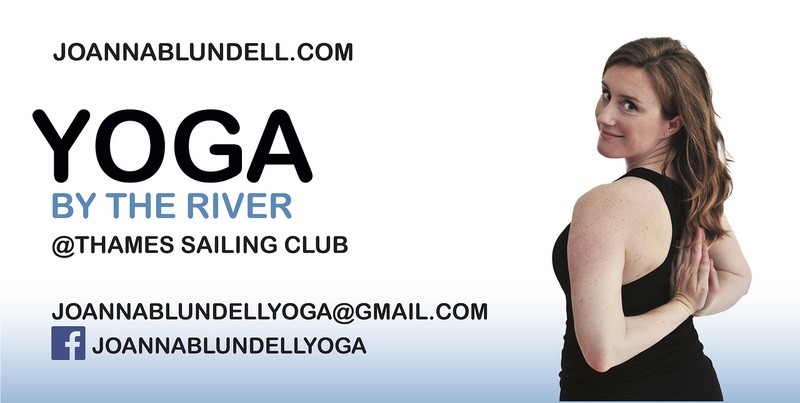 She teaches vinyasa and hatha classes inspired by many traditions, from the ancient to the modern. Classes are beneficial to body and mind - strong and precise, increasing balance, flexibility and strength. She links the breath to each movement and encourages the mind to settle with clear and detailed instruction. She pays close attention to alignment, encouraging and empowering each person to honour and protect their body by always working at their own pace. She believes the practice of yoga can positively influence how we live in many ways. It helps us to feel less alone and part of a community which begins by connecting first to ourselves and then to the world around us, including other sentient creatures, and the Earth and its elements, of which we are guardians. We learn to slow down, pay attention and clear away obstacles - whether physical, mental or spiritual - to find greater compassion and clearer vision. 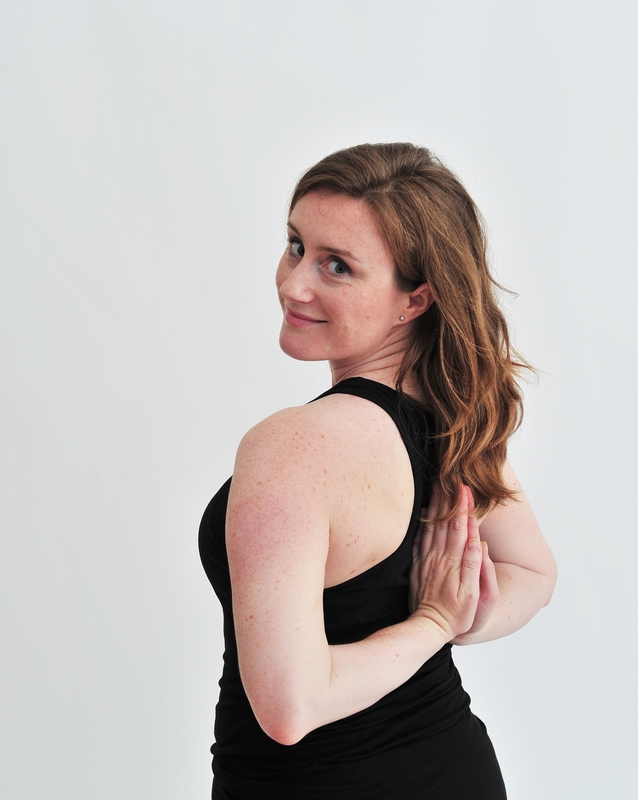 Joanna teaches yoga as a transformative practice that can promote health, wellbeing and joy. She honours and thanks all her teachers. She is a 500-hour registered yoga teacher (RYT) with Yoga Alliance. She started teaching in 2013 in Qatar and leads classes, courses, workshops and special events. When not teaching yoga, she works in TV News for major international broadcasters.